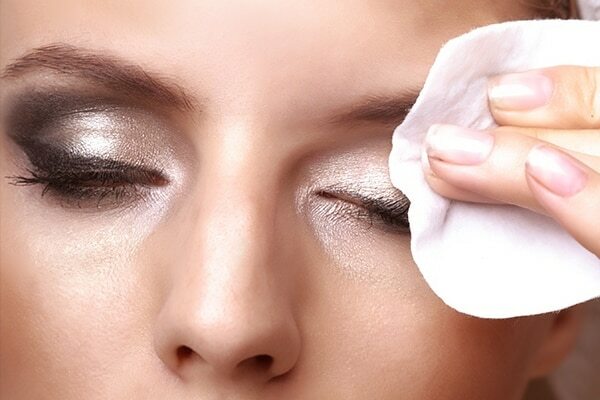 There are so many beauty tips for girls out there and yet, one cannot get enough! If you’re at a beginner’s level at the beauty game, basking in your teenage glory and stepping into college life soon, you need some beauty tricks and tips now, more than ever. 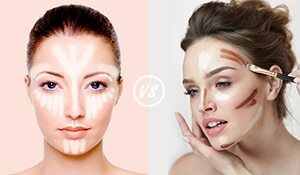 Since you get a lot of beauty advice for your hair, skin and makeup from different sources starting from your BFF and your local makeup aunty right to makeup experts and celebrities, it is possible to get confused and end up overdoing or making the wrong choices. Your skin tone on your face and neck looking different is a makeup nightmare. 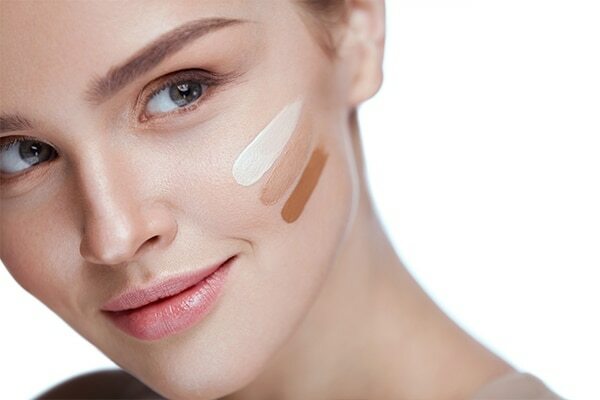 The most common makeup mistake beginners make is picking the wrong foundation shade for their skin tone. Going too light or too dark for your skin can really bring your look down. Don’t test the shade on your hand or neck as the skin on these parts can be different due to tanning. Always check it on your jawline and blend to match the shade. Matte lipsticks are formulated with less oil and more wax and some long-lasting formulas can dry out your lips at times. To avoid that, always moisturise your lips with a lip balm before applying your matte lipstick. It keeps your lips hydrated and preps them for the lip products to come. 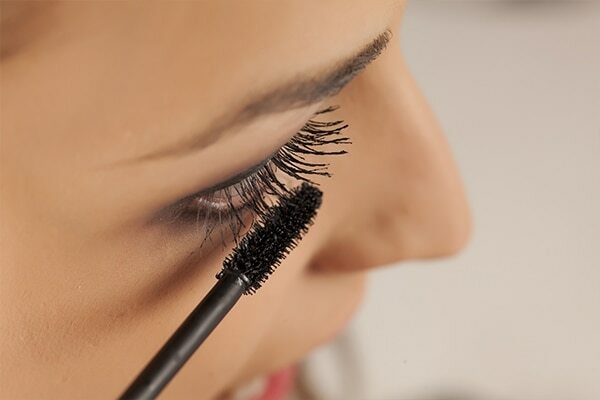 To get gravity defying lashes, you need to work your mascara wand skills. The way you hold and use the wand can give you the lashes of your dreams. Hold the wand vertically for long lashes and horizontally for fuller lashes. Also, swiping it along the lashes will give it length while wiggling it will give your lashes volume. 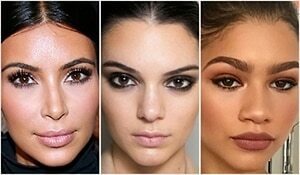 Eyebrows frame your look and make your face appear symmetrical. 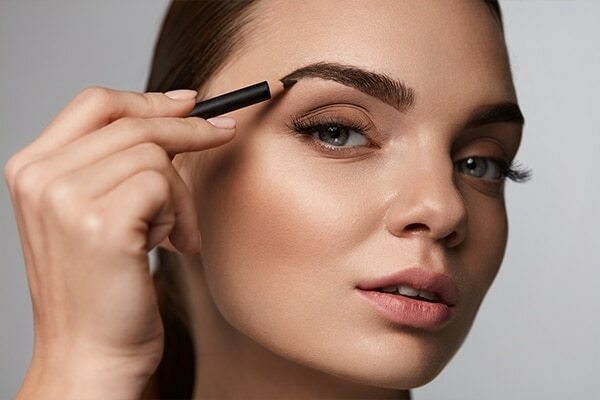 If you want to keep up with the fuller brows trend, make friends with the eye brow pencil. Shape and fill in the sparse areas in the eyebrows and keep your brow game strong. Using a face primer before applying makeup is a sure-shot way to make it last longer and keep it from melting away in summers. Also, primer is a moisturising staple that works as a shield between your skin and makeup products. It also blurs the appearance of fine lines and pores and helps you achieve a flawless matte finish. Love the colour of your lip gloss but hate stepping out with it on a windy day? No worries! You can turn your glossy/satiny/creamy lipstick into matte, and you don’t need a magic wand to do it! All you need is a tissue and compact powder. Apply your cream lipstick evenly on your lips and place tissue over it. Now take some compact powder and swipe it on the tissue. Remove the tissue to get matte lips in no time. Working with blush can get a little out of hand, we get it. You may take extra on the brush or space out while applying it. Either way, before you know it you are looking like a vinyl baby doll with rosy cheeks. 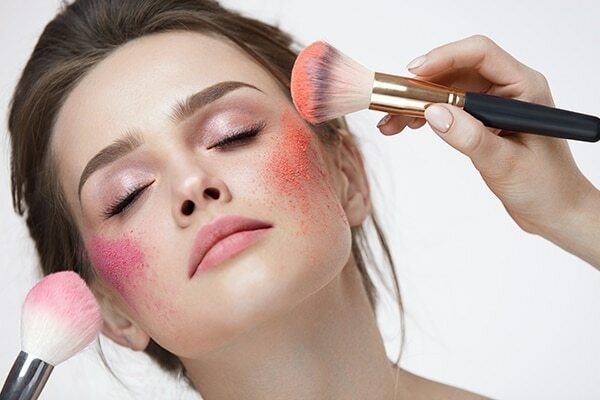 To sweep off extra blush, take a translucent finishing powder and brush it on the cheeks. It lightens the pigmentation of the blush. Or simply swirl a clean fluffy brush to get the overdone flush off your cheeks. Liner styles may come and go but a classic wing has no match. 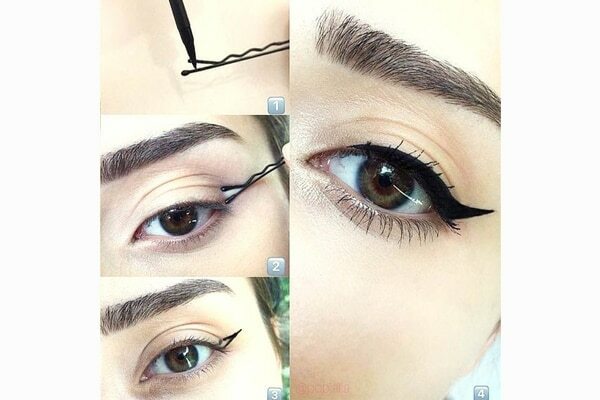 You can find a gazillion hacks to master the perfect winged liner. But we have one that works like a charm, every time. Apply your liquid liner on the opening end of your bobby pin and place it on the outer edge of your eye. Remove the pin and fill in the wing outline. It gives you a sharp winged liner that’s symmetric on both the eyes. Girls with fine hair would know how frustrating is it when your ponytail isn’t fluffy enough or you braid looks like a scraggy little snake. You can fake it by teasing and backcombing your hair. It creates volume in your hair and makes your ponytail or bun look voluminous. For braids, make a loose messy braid and tease out some strands to fake a fuller braid. If oily roots and tresses are one of your concerns, we totally get you. Sprinkle a small amount of baby powder onto the scalp and work it into the scalp until all hints of the white powder have vanished. It will help make your hair less greasy and give you volume until your next wash.
Rather than curling your hair on the day you wash your hair, style it on the second or third day. The oil in the scalp holds the heat better and your curls last much longer. 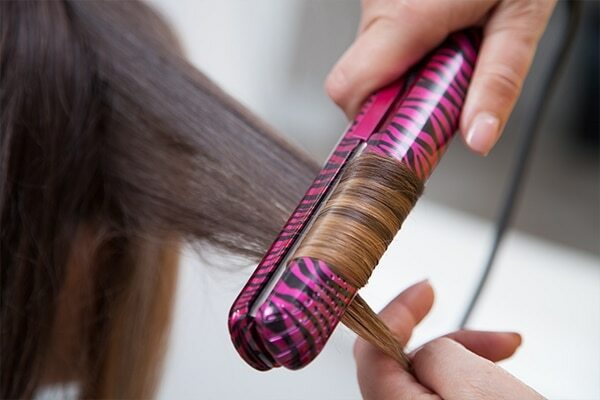 Use a hairspray to hold the styling. This is a beauty tip that we can’t stress enough. Dozing off with makeup on is one of the worst things you could be doing to your skin. It can cause acne, dullness, clogged pores and premature ageing signs. No matter how tired you are, always take all your makeup off before you hit the bed. Popping that pesky pimple is doing more harm than good to your skin. It can leave scars for you to deal with all your life. A better way to make the zit disappear is applying benzoyl peroxide or tea tree oil on it and leaving it overnight. It helps to reduce size and redness. You can also apply aloe vera gel on the pimple and wash the next morning. You can’t risk your social life by smelling bad. Your friends won’t tell you upfront but your body odour might turn them off. 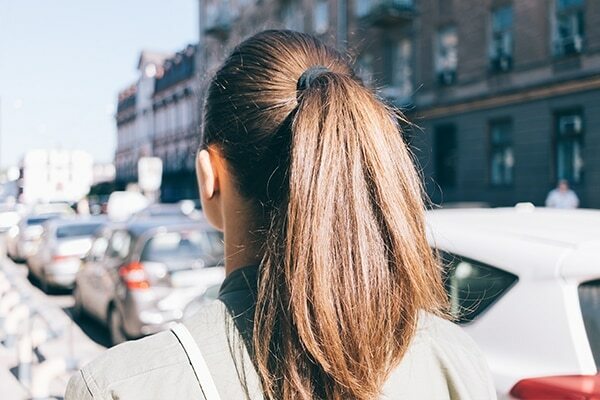 Here is one of the most important beauty tips for girls who are always on the go. Spritz an antiperspirant in the morning and carry deodorant with you to feel and smell fresh all day. 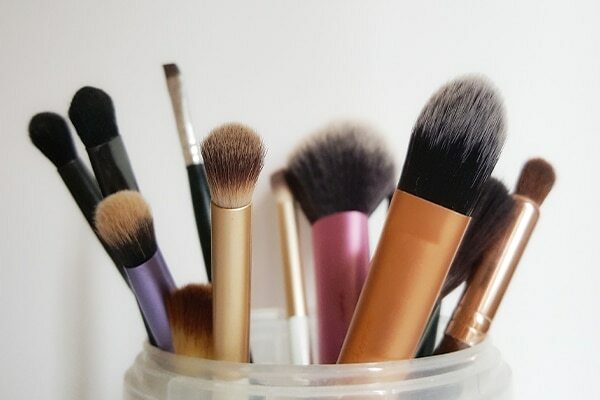 Product build-up in your makeup tools like brushes and sponges breeds bacteria that can lead to acne and other skin issues. Always wash your makeup tools after you’re done using them.